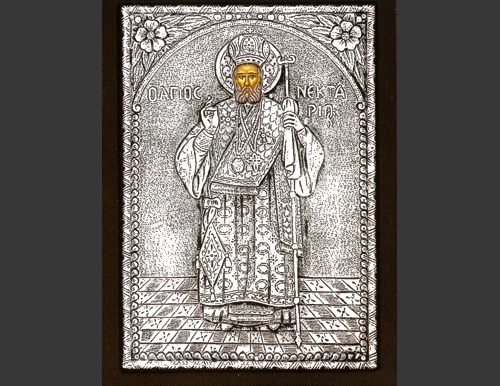 An exquisite silver Greek Orthodox icon of the St. Nektarios. 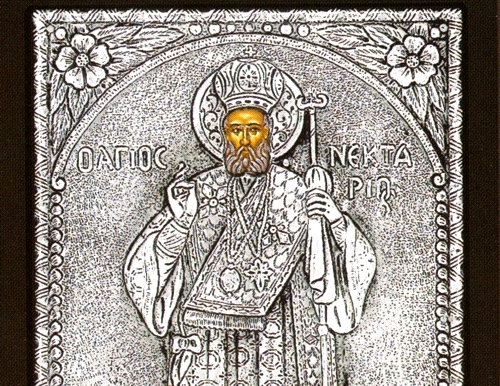 St. Nektarios was officially recognized as a saint by the Ecumenical Patriarchate of Constantinople in 1961. His feast day is celebrated on November 9. He is often referred to as Nectarios of Pentapolis or Nectarios of Aegina.